This artwork utilises historical wave data in order to mechanically control the volume output of a radio. When the oceanic swell differs, the volume of the radio rises and falls accordingly. The project invites us to consider the continuous relationship between humans, technology, data collection and nature. The basic premise of the concept is to have a volume potentiometer of a Radio that is controlled by an output device (servo, stepper motor, DC motor etc). This output device would be connected to an Arduino, receiving input from parsed data, (XML, JSON or even CSV). Without a shield the Uno has no native connectivity other than the serial port, so the historical data from the .csv was parsed in an external processing sketch, this string was then read by the Arduino over the serial port and the data was mapped to values that could be deemed useful to the output hardware, which ended up being a non-continous 180 degree servo. Consequently the mapped values were between 0 and 180. The fabrication of the unit is informed by flotsam, jetsam, lagan, and derelict. As well as Arctic research posts, and the immateriallity of pirate radio stations in the mind of the disembodied listener. 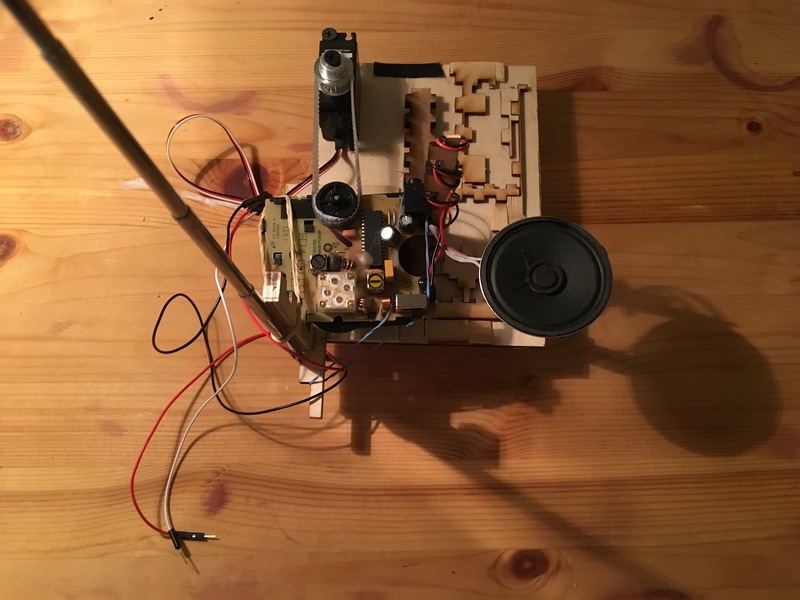 The project attempts to re-envisage waste as treasure, and it's resultant physical form is a nostalgic attempt at generalising a human 'memory of radio'. In order to expand on this work, multiple radio machine artefacts could be made to share and operate within the same space. This would allow for the works representational data aspects to merge with the aesthetics of individuated sculpture, the artefacts would be made from a varied array of different radio models and each object would serve an objective aesthetic, that at minimum, enables it to be a functioning unit. 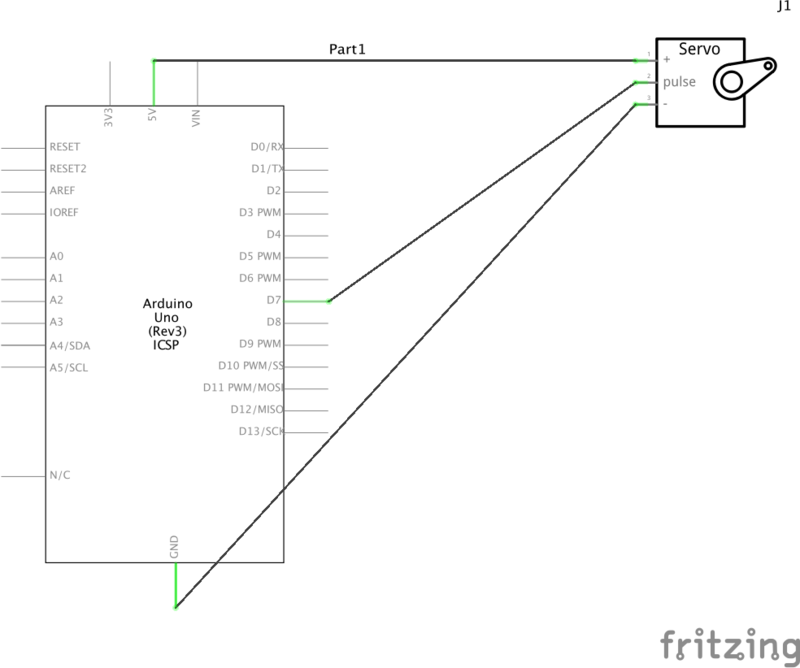 Arduino's with Wi-Fi shields or integrated Wi-Fi chipsets could be utilised in order to bypass the need for USB serial connectivity, and all data strings could be passed over networks. Increasingly specific and realtime API's could be parsed, and the frequency that the radios tune into could also be manipulated by mechanised outputs. The audiences interactivity is ultimately as passive or active as any given individuals relative understanding of their own engagement with the world and the data we collect.